I hope you all had a great weekend. We spent ours working on our backyard renovation. Just a few hours every morning until the heat gets to be unbearable. This is just the beginning of our outdoor kitchen and eating area. Last week we had an amazing party. Thank you all so much for your support and for taking the time to stop by and link your wonderful posts. Now, lets take a look at some of those entries. Shenita from Embellishments by SLR shared with us a gorgeous tablescape. Carol from An Oasis in the Desert shared some beautiful crochet projects. 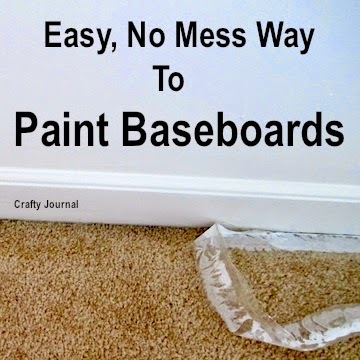 Noreen from Crafty Journal shared a great tip on how to easily paint your baseboards. The Diary of a Real Housewife. and how to get the needed products for free. Love this! Love Shenita's tablescape. Thanks for the great party dear Ma.Elena! Have a lovely week. Wow! Your weekends are filled with so much creativity...and hard work! Can't wait to see this new project reveal! Thanks for hosting and hope you have a wonderful week! Thank you for hosting the party, Maria Elena! Maria, y'all are multitalented! I simply cannot wait to see the outdoor kitchen completed. It looks like it will be a great area. I can't wait to see how your outdoor kitchen evolves! Thanks so much for hosting. Have a super week, Maria! Thanks so much for the party! Love those muffins...mmmm! Thank you for hosting Maria Elena! Have a wonderful day! Thanks for hosting, Maria Elena. And thank you for feauring my Easy Way to Paint Baseboards. I hope it makes everyone's painting jobs easier! Have a great week! Good evening, Maria Elena. I can't wait to see how your outdoor kitchen turns out! Thanks for hosting the blog party. Have a great week! Thanks so much for featuring my tablescape! I have been away from my computer; and I was checking Facebook and saw it there! Lol! Hope you're having a great week, so far! Looking forward to seeing more of your outdoor space! 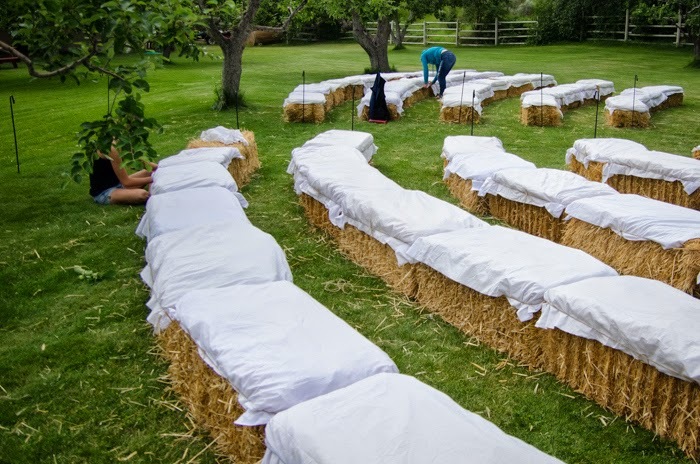 Thanks so much for featuring my hay bale seating secrets!! We have building a deck on our list for next year... can't wait to see how yours turns out! I'm so excited for your new outdoor area! Thanks for hosting and hope your week is good... can't wait to see your deck done! Thank you, Maria Elena, for featuring my crochet projects! Good luck on the outdoor kitchen construction -- believe me, I totally get how difficult it is to work outside this time of year!